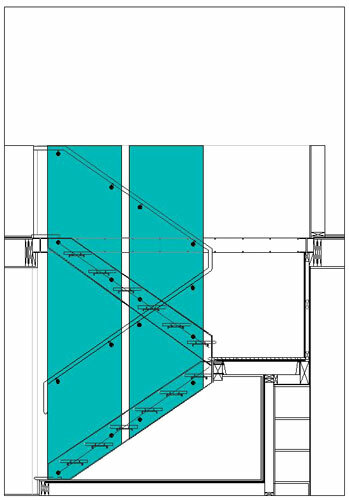 Transparency and protection are provided by 3/4" colored resin rail support panels at the center of a mezzanine stairwell. Two panels slice through the center and rise to the height of the surrounding walls. Attachment of the panels and the railing are with stainless disc fittings.